Earth Water Sky is Science Gallery Venice’s 3-year residency programme for artists interested in the environment and the latest in cutting edge environmental knowledge. Every year there will be an open call for artists from any art form – digital arts, painting, sculpture, dance, performance, music, multimedia, video, film, photography, writing, drawing – to apply for a 2 month fully funded residency in Venice. The winning artist/s will work with leading scientists from Ca’ Foscari University and the Veneto region. In the first year of the competition, the winning artist will be working with Professor Carlo Barbante and his team at Ca’ Foscari who work on the international Ice Memory project. This extraordinary scientific endeavour is building a library of ice from non-polar regions which will be stored in Antarctica comprised of ice cores drilled from endangered glaciers all around the world. From the ice cores and the air bubbles trapped in the ice which can be dated in some instances as far back as 18,000 BCE, scientists can reconstruct the Earth’s past climate and atmospheric composition. It is an invaluable record of climate change. Next year, the Ice Memory project goes to several destinations for expeditions and field trips for their research. Amongst several destinations, the major expedition will be to Mount Kilimanjaro's glaciers which is the last ice left in the African continent. Other destinations are e.g. field trips to the Alps. We are looking for an artist who is truly inspired by the Ice Memory project and can create imaginative, extraordinary new work which captures the public’s attention and their senses, minds and hearts. See here for more information about the Ice Memory project. WHAT MAKES A STRONG OPEN CALL PROPOSAL? What makes a good Science Gallery Venice open call proposal for the residency programme? We are especially looking for artists who propose an imaginative new project connected with the Ice Memory and that also matches Science Gallery Venice’s three core aims: to Connect, Participate, and Surprise. We love artistic works that invite visitors to participate, create and discuss. Great projects bring together art and science, in a creative way. We avoid science that is evaluating art or art that didactically illustrates science. Defying categories is good. For example, perhaps your piece is “a kind of a hybrid sculpture, event, installation-puzzle, with a crowdsourced edible citizen-science archive, plus a performance component that will portray a speculative future organism… .” We like stuff like this. However, a true connection to the Ice Memory project is a must. We encourage you to take a moment to consider whether your ideas and interests fit before committing your valuable time and energy to the application. Collaborations are great! However, you will have to share the funding which is strictly limited. There will be no extra funding for additional collaborators although of course they are always welcome. The artist has a set fee for two months of 5000 Euros per month. In addition, all travel, accommodation and subsistence are covered for that period on a fixed budget, except for joining a field trip. At the end of the residency, the artist will be invited to bid for a 26,000 Euro production budget to make an art work inspired by the Ice Memory project and interactions with the scientists. This final work and the results will be exhibited at Science Gallery Venice and potentially elsewhere. As well as the Ice Memory team, the artist will work closely with the initiator of the project, the Producer and Curator Ariane Koek who was the founder of the Arts at Cern programme and was Science Gallery Venice’s first director. The Jury will comprise Claudia Schnugg Creative Director of Science Gallery Venice; the Earth Water Sky Residency programme’s producer/curator Ariane Koek; one representative from Fondation Didier et Martine Primat; Carlo Barbante or one of his team members as scientific representative from the Ice Memory Project at Ca’ Foscari University; and an external curator or artist who is an international specialist in the environmental arts field. The Jury sessions will take place shortly after the end of the submission deadline. The selected artist will be informed immediately after the Jury decision has been reached. You should be reachable via e-mail by end of January/beginning of February to provide further documents and to discuss further proceeding. The Jury’s decision will be final, and the artist will be expected to take up their residency in 2019 any time between April-December. The residency may be split into a maximum of 4 parts if needed and only if agreed by the residency partners. Have a question about this open call? Ask us below or contact residency@venice.sciencegallery.com. 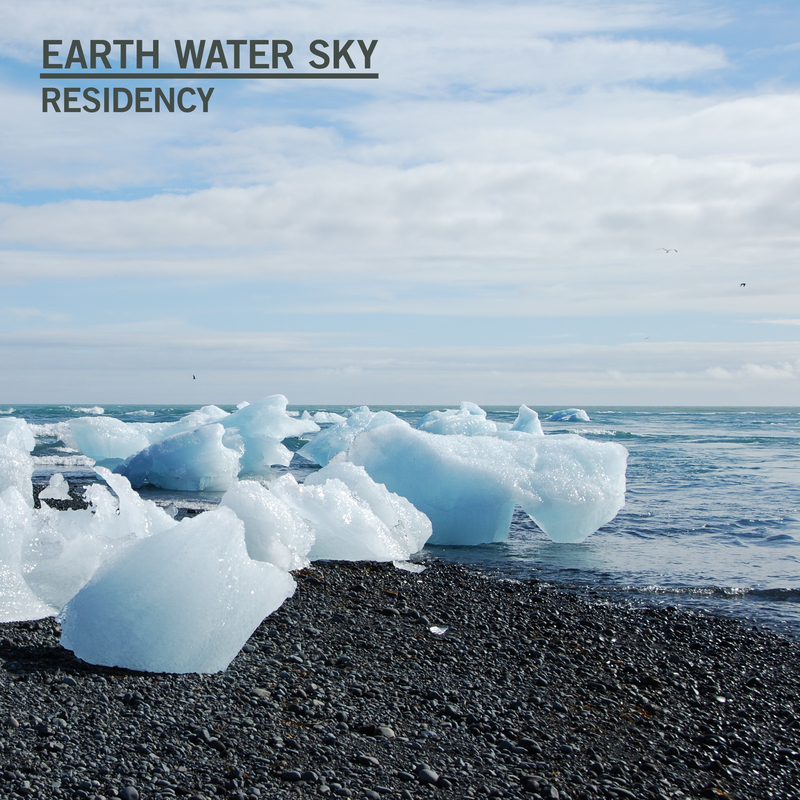 The Earth Water Sky residencies are generously supported by Fondation Didier et Martine Primat. The Didier et Martine Primat Foundation is a swiss-based registered charity. Its purpose is to foster critical and creative thinking among adults and children from a very early age, whereby each one can enhance its individual capacity of discernment and reasoning and adopt more responsible societal choices and behaviors. To meet its objectives, the Fondation encourage scientists, scholars and artists and supports the programs of competent organizations to speak up and stand for a more sustainable and conscious ways of living for the present and future generations. Have a question about this Open Call? Ask us below! Login or register to ask a question. "At the end of the residency, the artist will be invited to bid for a 26,000 Euro production budget to make an art work inspired by the Ice Memory project and interactions with the scientists. This final work and the results will be exhibited at Science Gallery Venice and potentially elsewhere." Hi Mia - You are quite right. The first step of the residency is basically research with the scientists, although you will be expected to give talks and/or workshops about work in progress. The second step is bidding to produce the work based to make a piece based on the two months research during the residency. However for the application for the programme, we ask you to suggest a project so we get a sense of your imagination, interest and approach. We totally understand and accept that if you are selected, that the project you apply with is highly likely to change once you begin working and researching with the scientists. There are no equipment or desiginated facilities available for use during the residency period. During the residency, what facilities might be be available (studio)? Is there any opportunity during the residency to tag along on a field trip and how is the funding for that handled? Hi Mia - You will see the answer to your question in the rest of the forum. Opportunities for participating in a field trip depend on timing, logistics and the quality of the relationship the artist builds with the scientists. Therefore a field trip is not guaranteed. There is a fixed travel budget which may not cover the costs of a field trip. In which case, the artist could of course use their 5000/month fee to fund it if they wished to. Hello, Under the Budget for the Residency it states "the artist has a set fee for two months of 5000 Euros per month." Is this paid to the artist, or is the artist paying 10000 Euros for participating in the residency? Thank you for the clarification, the second statement about travel and accommodation being covered on a fixed budget made me unsure of which way the fee goes. Thank you. The artist is paid 5000 Euros per month. The artist may use this payment if they wish for additional trips or a studio for example which are not covered by the fixed travel and accomodation budget which is managed by the organisers. There is a separate budget for the artists travel and accomodation which is fixed. Hello, I am interested in some clarification between the expectations of the artist resident during and after the residency period vs the opportunity to bid for a 26,000 Euro production budget. Is the artist expected to come out of the residency with a finished project? If so, is the production budget an opportunity to make a wholly different work? Additionally, what are the working conditions during the residency? Will the artist have a studio space? Or will it be mostly shadowing the Ice Memory scientists, with time for documentation and note-taking/sketches? Will the scientists have the freedom to collaborate with the artist, or will they need to focus on their specific tasks? Hi Amanda - The artist is not expected to come out of the residency with a finished project. The production budget is to make a work inspired by the two months residency and research. There is no designated studio space, but the artist could if they wished always hire a space if they wished using their 5000 Euros/month fee. Up to them how they use that. Access is given to the Ice Memory project and the scientists. The quality and tupe of collaboration and work is defined by the relationship the artist builds with the scientists. The location of the exhibition is to be confirmed but it is likely to be at Science Gallery Venice which opens in 2020. You should include the names of collaborators in the application. 5000 Euros/month is given to the artist as an artist's fee during the residency. It is a fixed fee of 10,000 Euros - whatever the number of artists and collaborators applying for the residency. This therefore for example in your cases be split between the two of you and your collaborators. Hello, quick question regarding the online application. Is the video testimonial mandatory or is it an option? Hi Benedikt - the video testimonial is mandatory. Of course you can do it on your mobile or computer etc. Hi! One question: the final installation will be exposed in Venice Science Gallery permanently or temporary? The question is just to understand if we have to think to a project that will stay just for a short period of time or a long period, so, with a different planning approach. Hi Mauro - It will be a temporary installation at Science Gallery Venice. Hi there - which months would the 2 month residency take place, and is this confirmed or would it be confirmed with the chosen artist? Hi Lucy - The two months have to be taken in 2019 and the chosen artist will discuss when they wish to take them with the curator and the Science Gallery Venice team. You can submit your CV and portfolio separately. They don't need to be one document. Just choose your favourite and most relevant work as examples of your portfolio. We dont want or need all your work. Only a few of your best. Your portfolio may be your website of course. You can use the additional section about artistic practice to explain a bit more about your work. Or just submit the same. Up to you. The budget is for producing your application idea. Its just so we can see what your budgeting skills are like. You can use whatever means you like to estimate how you would fund this. It obviously does NOT involve using the 26K budget. This is probably a stupid question, but do the two months of residency occur in Venice, or elsewhere (for example, wherever the Ice Memory team is based/operating)? The residency is based in Venice where the Ca Foscari University Ice Memory enviornmental scientists are based. However, if the timing of the residency coincides with field trips and if the budget allows you may go on field trips with them of course! Hello, Dubbel check: submission deadline changed from today 17:00 to January 14th ? Hi Jochem - I can confirm. You and everyone else are in luck! The eadline has been extended until January 14th. Hi, something went wrong with my submission, it is missing the video link! Is it possible to re-open it and add it? I submitted it just now and saw no video file. Hello. Is it possible to undertake the residency in 2020 or only in 2019? Hi Jeremy - the residency has to be taken in 2019. It can be split into chunks if needs be because we understand that artists can be very busy of up to 4 x 2 weeks. HI there, i dont seem to be able to post my CV and my digital portfolio as seperate files? do you know how i can do this or do they need to be one file ? It's is best if you do it as one file. Thank you! Hei, i just submitted my application, but i had technical problems both with uploading video and documentation of works. Can i send this by mail? Sorry to hear this. Did you manage in the end to upload this or send it by email/we Transfer?